Gamers Gather at the Upper Deck Booth at Origins Game Fair! The Upper Deck team was excited to be a part of the Origins Game Fair recently in Columbus, Ohio, as we showcased a multitude of gaming products from Marvel, 20th Century Fox and Sanrio. Fans loved the look of the booth located in the front of the hall. 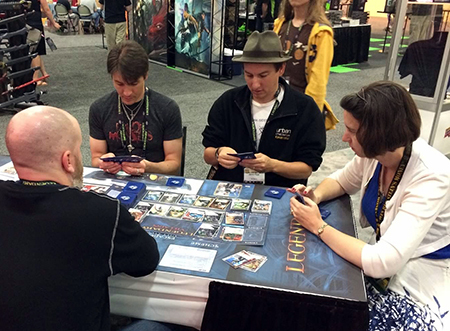 Seats went quick at the booth as eager gamers had the opportunity to demo the new Legendary™ Villains core set and the new Firefly dice game. The event was attended by over 14,000 gamers from all over the globe, looking to play their favorite games (some of which ran for 24 hours a day). Our Legendary Organized Play tournaments were a huge hit among fans who had the chance to test their “Legendary” skills and win it all, including bragging rights, awesome prizes, and even the big $1,000 grand prize. Fans were extremely excited to hear about our upcoming releases (including the new Firefly Game and Alien Encounters)! Origins was a great experience for fans, gamers, and the Upper Deck crew, and we look forward to participating again next year. 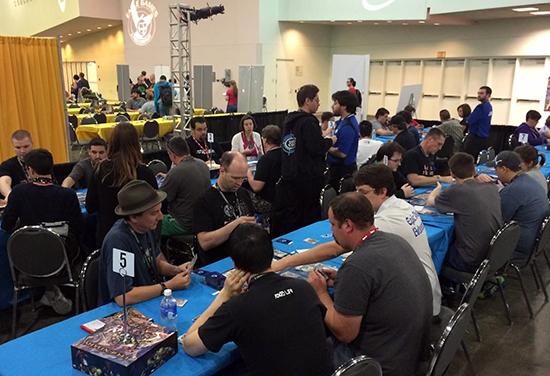 Check out some of the photo of the action from Upper Deck at the Origins Event! 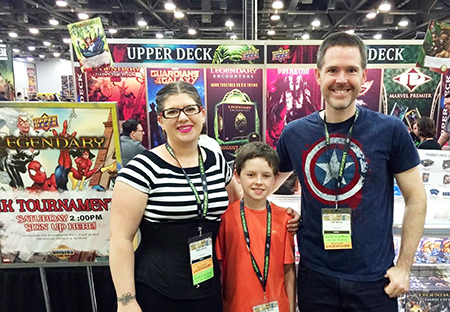 Families were out in force at the Origins Game Fair excited to see what’s new from Upper Deck. 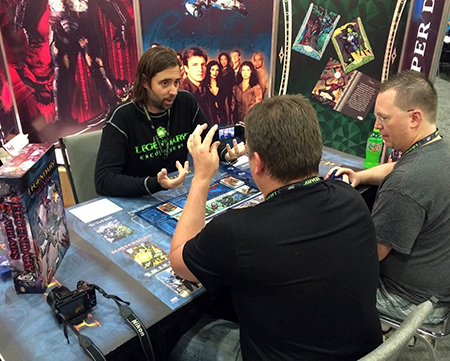 Everyone was excited to demo new games from Upper Deck like the Legendary Villains core set. Gamers packed in to play in the $1000 Legendary tournament! 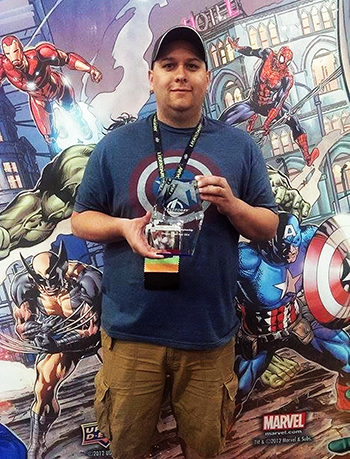 This happy Captain America fan walked away $1000 richer for besting the competition at Legendary in Upper Deck’s tournament at Origins. Want more on the Legendary™ Villains core set? Check out this exclusive demo!